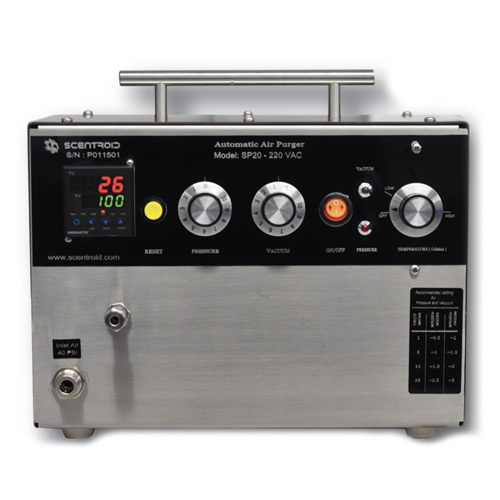 The Scentroid SP20 Heated Air Purification System is a revolutionary device designed to provide an effective and reliable cleaning solution for olfactometers, sample bags, PTFE lines, and other equipment which may be contaminated with odours. The SP20 provides hot air at up to 200 degrees Celsius (400 degrees Fahrenheit) to effectively clean stainless steel lines of any olfactometers. 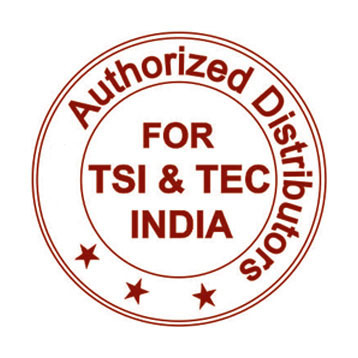 It can be connected directly to the sample line or to the compressed air line. The hot air from the unit can also be used to regenerate carbon filters and silica gels in the odour/humidity filter built into the SM100, SC300, or the SS600. The SP20 provides a unique function of cycling between injecting hot air and vacuuming to speed up purging of Tedlar, PTFE, and other reusable bags.